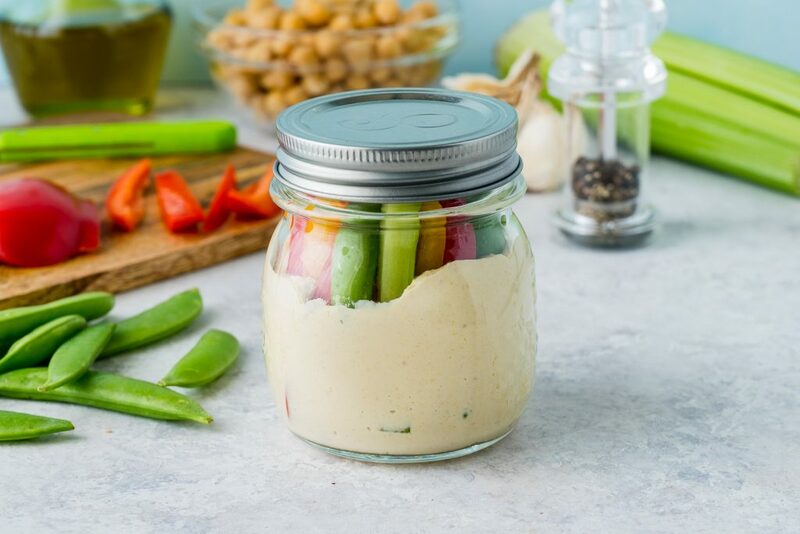 Hummus + Crunchy Veggies Snack Jars for Clean Eating Success! 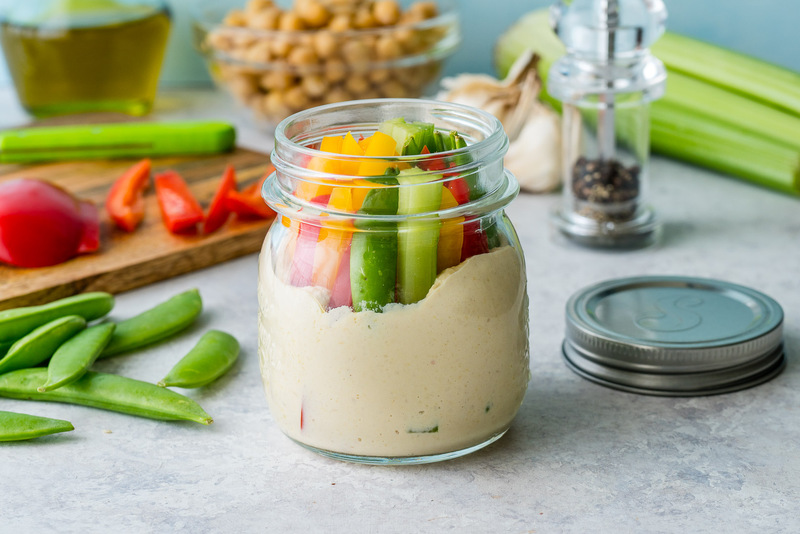 Place all the hummus ingredients in food processor and blend until very smooth. 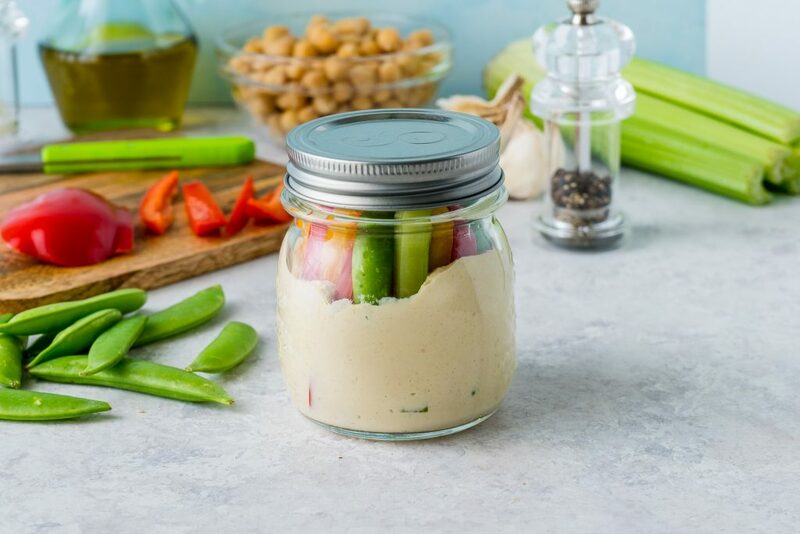 Transfer to Mason jars and finish with adding veggies on top. 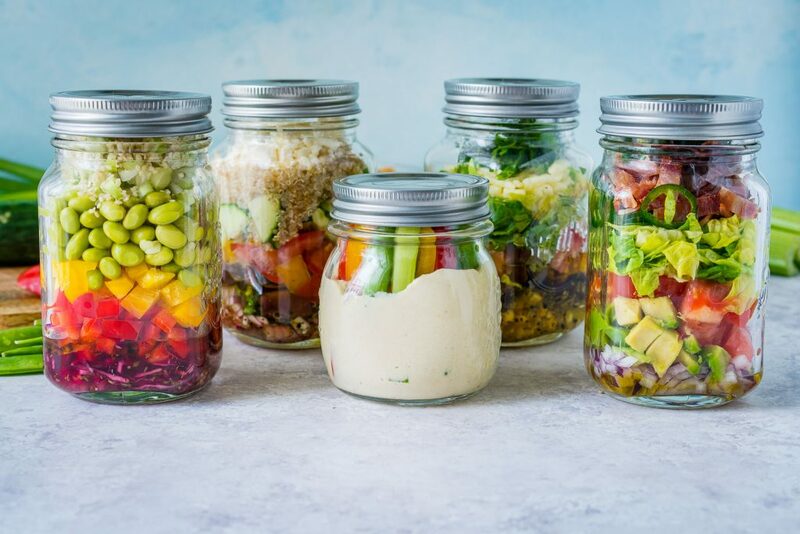 Fit the lids on and refrigerate for up to 5 days.